Winter has come across the nation as well as Columbia, Missouri. While temperatures dive down and snow begins to cover the ground families all over the nation begin to light up their fire pits and places to help stay warm. Every type of wood has its own unique smell when it’s burnt — some bring back old memories, some are pleasant, and some almost have almost no smell at all. Having a great smelling firewood is the new version of throwing in a batch of cookies, it can make your entire house inside and out smelling wonderful. 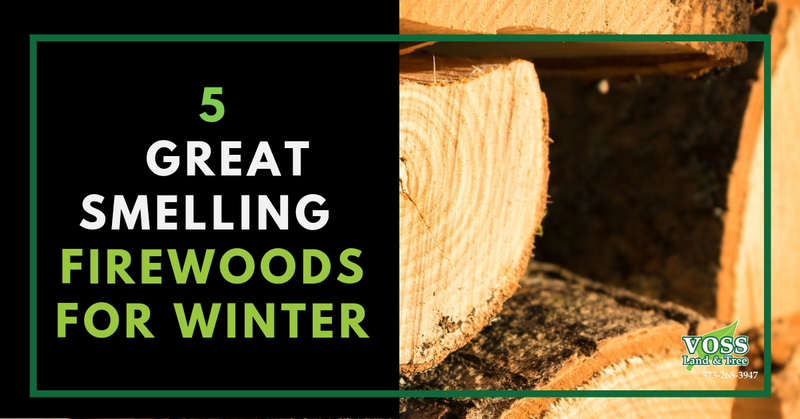 Join us as we list the best smelling firewoods for the winter season. Impress your guests and find your own favorite firewood for every occasion. 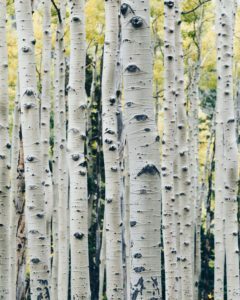 Birches are small to medium-sized trees that primarily grow in the northern hemisphere and colder climates. Birch wood can come in various colors ranging from gray, white, black, silver, and yellow birch all describe different species of birch. In general, you’re just looking for any birch if you are searching your local hardware store or wood deposits in hunt of favorable smelling firewood. The smell of birch firewood is a subtle, sweet smell that will fill your room or campsite. Some individuals claim that it is nature’s incense, giving off such a satisfying aroma that they will go out of there way to specifically find this type of wood. Birch is a soft wood, but, don’t let that scare you from attempting to burn it at home. It may burn relatively faster than harder woods, but, is excellent for kindling as it ignites very easily. 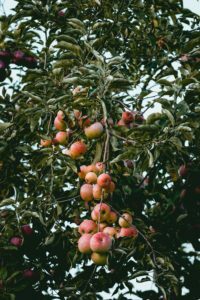 Apples and apple trees are a firewood that most people are familiar with. The tree originally was cultivated in Central Asia where it’s popularity than quickly spread worldwide where its fruits became a staple to the human diet and the firewood became a staple for smoking meats. Because of its commonality, applewood is readily available in most department, hardware, and online firewood suppliers. While apple wood is great for cooking it also works surprisingly well in your inside rack or outside camping trip. People love burning apple wood for its fragrant aroma that is reminiscent of its fruit. As apple wood is further into the hardwood family, it will burn longer and more steady than softwoods — another reason people use it for smoking, cooking, and barbecuing. Cherry trees are relatively small trees compared to some of their other, much larger brethren. A cherry tree will typically grow between 30 feet all the way up to 80 feet tall. If you are hand cutting your own firewood, cherry is one of the easiest and cleanest to split. Once divided in two, you can already smell its pleasant fragrance start to emanate from the core. Cherry, unlike the other woods we have mentioned so far, is known for the soothing signature smell it releases as it crackles over the fire. However, cherry is also regularly used as lumber and because of this can be a bit more expensive than most. Similar to other pungent woods cherry is also regularly used as wood for smoking various food. Be sure to store your cherry wood in a dry place as it can rot and grow fungus more easily than other species. Pinewood is a no-brainer for the holiday months even though burning it in your indoor fireplace comes with some controversy. 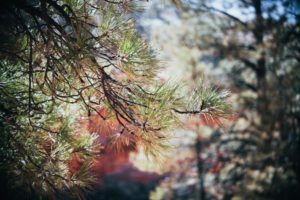 For years individuals have warned about the dangers of burning pine in your indoor fireplace because of creosote buildup. The reality is that tall wood creates creosote and if you’re planning on burning pine inside we heavily suggest using it as a base or kindling in conjunction with a longer lasting hardwood. Pine gives off a happy festive smell for your outdoor fire or home. The familiar smell will resonate with most guests and immediately invoke the holiday spirit! This is another softwood that burns well but for a longer lasting fire should be combined with a long-lasting hardwood to keep the comfy smells and warmth going all night. Pro-Tip – Avoid Creosote: All firewoods create creosote, so it is impossible to completely avoid it. You can reduce the amount of creosote by ensuring your fireplace is seasons and completely dry before every use. Also be sure that with whatever firewood you’re using that it too is properly seasoned. Most woods take at least six months of age before they’re ready for fireplace use. 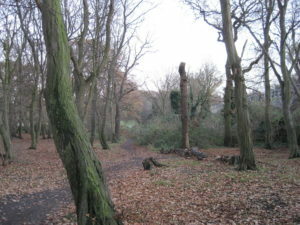 Cedar is one of the most common types of woods. 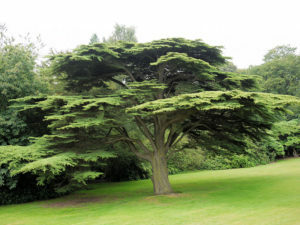 It has some of the most diverse family members ranging from red cedar to atlas cedar. Regardless of the type, all cedars are tall, beautiful and have become famous for decades because of the classic sweet smell that they give off. If you ask the average joe what his favorite smelling wood is they’ll probably tell you cedar and it’s for a good reason. Like the woods mentioned prior, cedar works best as a kindling as it is a softwood that burns quick and hot. The porous wood is lightweight and contains oils that assist a fire in starting. Cedar also has the natural ability to ward off insects and other varments also making it a great wood to burn for outdoor recreational use. If you’re located in Columbia, Missouri and have additional questions on firewood, don’t hesitate to give Voss Land & Tree a call. Having staff that is knowledgeable and passionate means that we understand the importance of doing the job the right way. Contact Us today with any of your landscaping needs or concerns!